Mr Fox returns to centre stage in his latest incarnation! 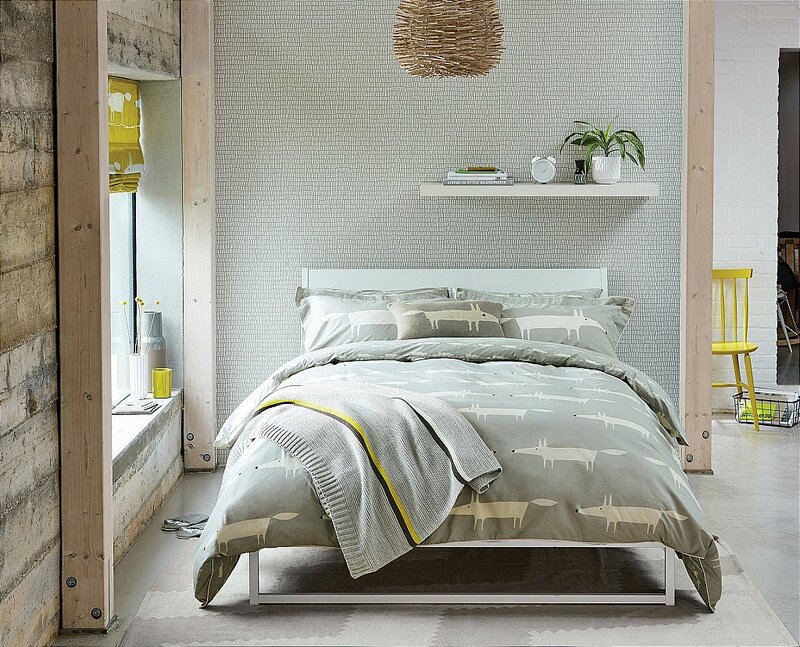 Silver and sleek with ivory piping, large-scale Mr Fox prowls across the 100 percent cotton percale duvet cover and on the reverse his small-scale cubs keep guard. The duvet cover is available in all four sizes, so now children and adults alike can indulge in their adoration for Mr Fox! 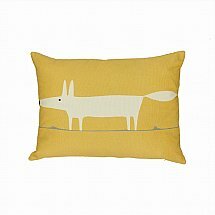 The Oxford pillowcase features a single large-scale Mr Fox with a plain reverse and piping in ivory. The housewife pillowcase is covered front and reverse with small-scale foxes and sold in pairs. Accessorise this foxy look with the Mr Fox silver coloured knitted throw and Mr Fox silver cushion, both from existing collections. Composition: 100 percent Cotton Percale. 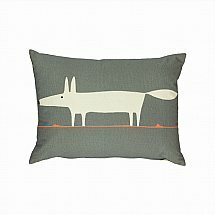 I would like more information about Mr Fox Bedding In Silver by Scion.